The ASL 403 Play Station Modification is designed to operate Sonys Playstation 2 with your drive control system from your power chair via the ECU unit on the chair. 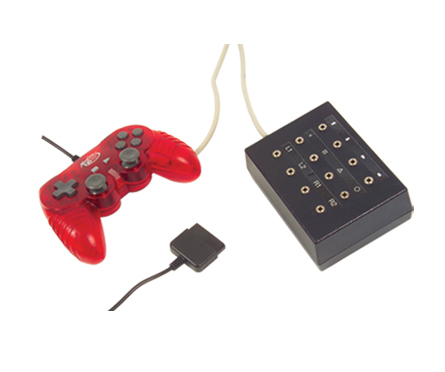 There are up to 12 mono ports that are available to control all the playing functions of the Playstation joystick on the interface. An added bonus is that the modified joystick functions can still be used if assistance is needed. Mechanical switches can be plugged into the interface as well. ECU unit and ASL 804/4 cable not included.